In Idaho, each season is an opportunity for a one-of-a-kind escapade. Walk with history and wildlife through the trees in our National and State Parks. Meet Idaho on restaurant rooftops or scenic mountain tops. Follow adventure to a day of recreation or relaxation. Taste Idaho’s culture at a table in the city or winery in the country. In Idaho you don’t just tour, you explore. 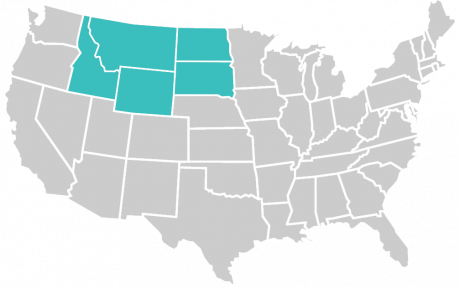 The Great American West is the brand for the international marketing efforts of Idaho, Montana, North Dakota, South Dakota and Wyoming. Collectively, the group markets to both travel trade (tour operators, travel agents, etc.) and consumers through advertising and public relations efforts. Individually, each state office works with their industry partners to raise awareness of their states and the region as a whole through the promotion of products and travel destinations. The Great American West contracts with Rocky Mountain International to help coordinate their united efforts in seven international markets, including The United Kingdom, Germany, Australia, France, Italy, Benelux and Nordics.